Description: Aerial. 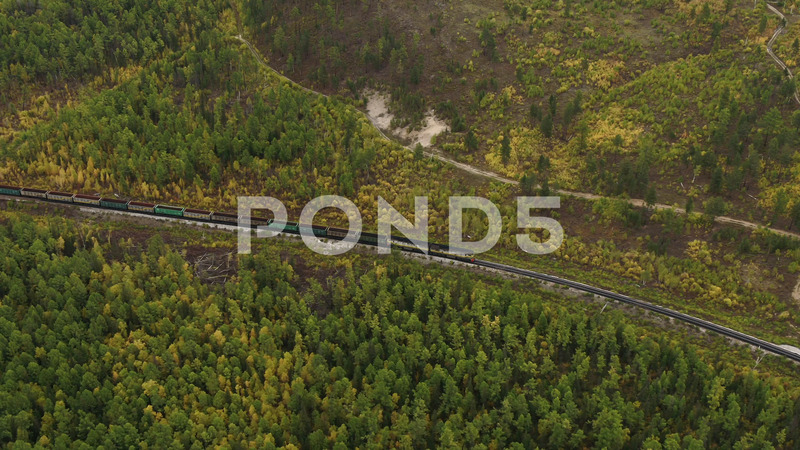 The camera is flying over a freight train going through the forest. It's an early autumn. Some trees are already yellow, some are still green. The cars of the train are loaded with coal. There is an earth road next to the railway. It's a beautiful landscape.